縲�縺薙�ｮ蝗ｽ髫帛憧蟄ｦ莨壹�ｯ,遘√�ｮ遏･逧�逕滓ｶｯ縺ｫ縺翫¢繧具ｼ代▽縺ｮ霆｢讖�縺ｨ縺ｪ縺｣縺溘�ゅ→縺�縺�縺ｮ縺ｯ,縺昴％縺ｧ繧ｸ繝･繧ｼ繝�繝壹�ｻ繝壹い繝��ｼ�Giuseppe Peano, 1858-1932�ｼ�縺ｫ莨壹▲縺溘°繧峨〒縺ゅｋ縲�縺吶〒縺ｫ遘√�ｯ,蠖ｼ縺ｮ蜷榊燕繧堤衍縺｣縺ｦ縺翫ｊ,蠖ｼ縺ｮ闡玲嶌繧剃ｽ募�翫°逶ｮ繧帝�壹＠縺ｦ縺�縺溘′,蠖ｼ縺ｮ'險伜捷豕�'繧�,蜉ｪ蜉帙＠縺ｦ繝槭せ繧ｿ繝ｼ縺励ｈ縺�縺ｨ縺ｯ縺励※縺�縺ｪ縺九▲縺溘��蟄ｦ莨壹↓縺翫¢繧玖ｭｰ隲悶↓縺翫＞縺ｦ,蠖ｼ縺ｯ蟶ｸ縺ｫ莉悶�ｮ隱ｰ繧医ｊ繧らｲｾ遒ｺ縺ｧ縺ゅｊ,蠖ｼ縺ｯ蜿ょ刈縺励◆縺�縺九↑繧玖ｭｰ隲悶↓繧ょｿ�縺壼享蛻ｩ縺吶ｋ縺ｮ繧�,遘√�ｯ逶ｮ謦�縺励◆縲��ｼ井ｼ夊ｭｰ縺ｮ�ｼ�譌･縺檎ｵ後▽縺ｫ縺､繧檎ｧ√�ｯ,縺薙ｌ縺ｯ蠖ｼ縺ｮ謨ｰ逅�隲也炊蟄ｦ縺ｮ縺帙＞縺ｫ驕輔＞縺ｪ縺�縺ｨ邨占ｫ悶ｒ荳九＠縺溘�ゅ◎縺薙〒遘√�ｯ,蠖ｼ縺九ｉ蠖ｼ縺ｮ闡嶺ｽ懊ｒ蜈ｨ縺ｦ繧ゅｉ縺�,蟄ｦ莨壹′邨ゆｺ�縺吶ｋ繧�蜷ｦ繧�,繝輔ぃ繝ｼ繝ｳ繝上�ｼ繧ｹ繝��ｼ医�ｮ繝溘Ν繝上Φ繧ｬ繝ｼ�ｼ�縺ｫ縺ｲ縺阪％繧ゅｊ,髱吶°縺ｫ,蠖ｼ繧�蠖ｼ縺ｮ蠑溷ｭ舌↓繧医▲縺ｦ蝓ｷ遲�縺輔ｌ縺溯送菴懊�ｮ荳�隱樔ｸ�隱槭↓縺�縺溘ｋ縺ｾ縺ｧ遐皮ｩｶ縺励◆縲ゅ◎縺ｮ邨先棡,蠖ｼ縺ｮ險伜捷豕輔�ｯ,遘√′髟ｷ蟷ｴ豎ゅａ縺ｦ縺阪◆隲也炊蛻�譫舌�ｮ驕灘�ｷ繧剃ｸ弱∴縺ｦ縺上ｌ繧九ｂ縺ｮ縺ｧ縺ゅｊ,縺ｾ縺溷ｽｼ繧堤�皮ｩｶ縺吶ｋ縺薙→縺ｫ繧医▲縺ｦ,遘√′髟ｷ蟷ｴ繧�繧翫◆縺�縺ｨ諤昴▲縺ｦ縺阪◆遐皮ｩｶ縺ｮ縺溘ａ縺ｮ譁ｰ縺励￥縺九▽蠑ｷ蜉帙↑謚�陦薙ｒ迯ｲ蠕励＠繧医≧縺ｨ縺励※縺�繧九→縺�縺�縺薙→縺�,縺ゅ″繧峨°縺ｫ縺ｪ縺｣縺溘���ｼ俶怦縺ｮ譛ｫ縺ｾ縺ｧ縺ｫ遘√�ｯ,蠖ｼ縺ｮ蟄ｦ豢ｾ縺ｮ縺ゅｉ繧�繧玖送菴懊↓,螳悟�ｨ縺ｫ邊ｾ騾壹☆繧九ｈ縺�縺ｫ縺ｪ縺｣縺溘���ｼ呎怦縺ｯ,蠖ｼ縺ｮ譁ｹ豕輔ｒ,髢｢菫ゅ�ｮ隲也炊縺ｫ諡｡蠑ｵ縺吶ｋ縺薙→縺ｫ雋ｻ繧�縺励◆�ｼ域律鬮俶ｰ上�ｯ,logic of relations 繧偵�碁匍霑ｰ縺ｮ隲也炊縲阪→隱､險ｳ縺輔ｌ縺ｦ縺�繧具ｼ�縲ゅ�ｵ繧願ｿ斐▲縺ｦ縺ｿ繧九→,�ｼ呎怦縺�縺｣縺ｱ縺�,蜈ｨ譌･證悶°縺�,譎ｴ螟ｩ縺ｧ縺ゅ▲縺溘ｈ縺�縺ｫ諤昴≧縲� In July 1900, there was an International Congress of Philosophy in Paris in connection with the Exhibition of that year. Whitehead and I decided to go to this Congress, and I accepted an invitation to read a paper at it. 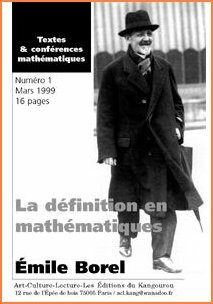 Our arrival in Paris was signalised by a somewhat ferocious encounter with the eminent mathematician Borel. Carey Thomas had asked Alys to bring from England twelve empty trunks which she had left behind. Borel had asked the Whiteheads to bring his niece, who had a teaching post in England. There was a great crowd at the Gare du Nord, and we had only one luggage ticket for the whole party. Borel's niece's luggage turned up at once, our luggage turned up fairly soon, but of Carey's empty trunks only eleven appeared. While we were waiting for the twelfth, Borel lost patience, snatched the luggage ticket out of my hands, and went off with his niece and her one valise, leaving us unable to claim either Carey's trunks or our personal baggage. Whitehead and I seized the pieces one at a time, and used them as battering-rams to penetrate through the ring of officials. So surprised were they that the manoeuvre was successful. The Congress was a turning point in my intellectual life, because I there met Peano. I already knew him by name and had seen some of his work, but had not taken the trouble to master his notation. In discussions at the Congress I observed that he was always more precise than anyone else, and that he invariably got the better of any argument upon which he embarked. As the days went by, I decided, that this must be owing to his mathematical logic. I therefore got him to give me all his works, and as soon as the Congress was over I retired to Fernhurst to study quietly every word written by him and his disciples. 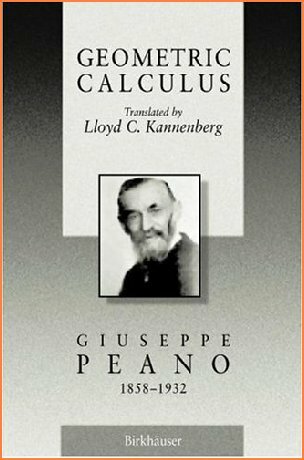 It became clear to me that his notation afforded an instrument of logical analysis such as I had been seeking for years, and that by studying him I was acquiring a new and powerful technique for the work that I had long wanted to do. By the end of August I had become completely familiar with all the work of his school. I spent September in extending his methods to the logic of relations. It seems to me in retrospect that, through that month, every day was warm and sunny.